your past, and your future. 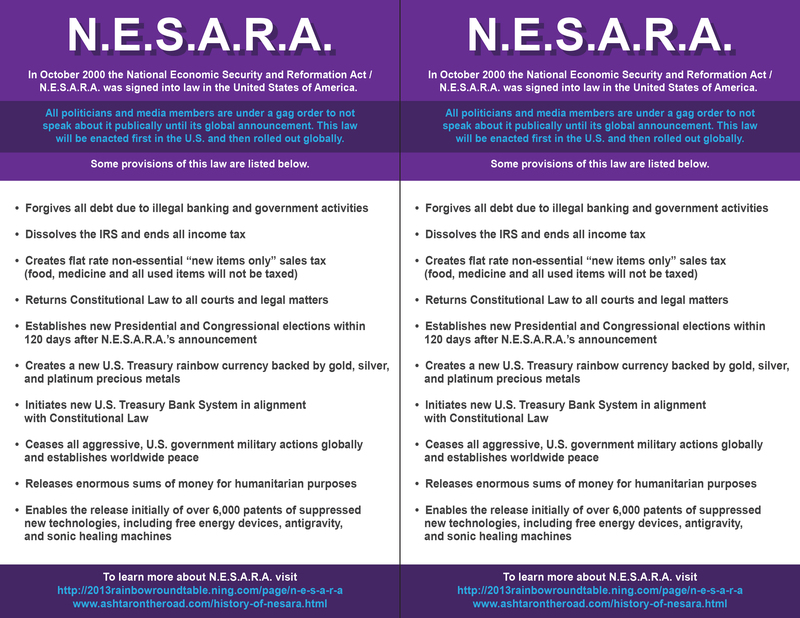 The National Economic Security and Reformation Act/NESARA was signed into law in 2000 but was not enacted. Its announcement and enactment is yet anticipated and will lead to sweeping changes beginning in the U.S. then spreading throughout the world. NEW DOC – National Economic Security and Reformation Act / N.E.S.A.R.A.